The PENAPH core partners are ten organizations that contribute to guiding PENAPH and share a strong commitment to participatory methods in epidemiology and surveillance. Each partner has designated a focal point who is listed on the contacts page of this website. At the request of the network, Tufts Cummings School of Veterinary Medicine is currently hosting the network secretariat and provides the network coordinator. 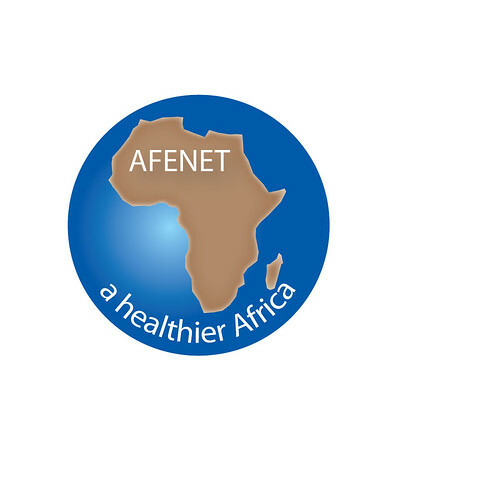 AFENET: Created in 2005, African Field Epidemiology Network (AFENET) is a non-profit organization and networking alliance dedicated to helping Ministries of Health (MOHs) in Africa build strong, effective, sustainable programs and capacity to improve public health systems on the African continent. Our mission is to ensure effective prevention and control of epidemics and other priority public health problems in Africa. The AFENET secretariat, which oversees the organization’s day-to-day activities is located in Kampala, Uganda. AU/IBAR: The mandate of the African Union/ Interafrican Bureau for Animal Resources (AU/IBAR) is to enhance AU member states and their regional economic communities to sustainably improve the contribution of animal resources to the nutrition and incomes of their communities, especially the rural poor. The three core strategic program areas are animal health, animal production and trade and markets. Top priority has been given to the control of the highly pathogenic avian influenza and other major transboundary animal diseases including rinderpest, African swine fever, contagious bovine pleuropneumonia (CBPP), foot-and-mouth disease (FMD), peste des petits ruminants (PPR), Newcastle disease, and African horse sickness. FAO: The Food and Agriculture Organization is a specialized agency of the United Nations founded in 1945, the Food and Agriculture Organization leads international efforts to defeat hunger with a mandate to raise levels of nutrition, improve agricultural productivity, better the lives of rural populations and contribute to the growth of the world economy. FAO works in both developing countries and countries in transition to modernize and improve agriculture, forestry and fisheries practices and ensure good nutrition for all. 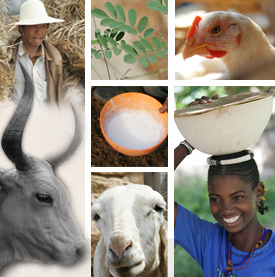 ILRI: The International Livestock Research Institute (ILRI) works at the crossroads of livestock and poverty, bringing high-quality science and capacity-building to bear on poverty reduction and sustainable development in developing countries in Africa, Asia and Latin America. All ILRI work is conducted in extensive and strategic partnerships, adding value to the contribution of many other players in livestock research for development, employing an innovation systems approach to enhance the effectiveness of its research. OIE: Created in 1924, the Office International des Epizooties became the World Organisation for Animal Health in 2003 but kept its historical acronym OIE. With 174 member countries and territories, the OIE is the intergovernmental organisation responsible for improving animal health worldwide and is recognized as a reference organization by the World Trade Organization. RVC: The Royal Veterinary College, University of London, is one of the world’s leading specialist veterinary institutions and is the largest and oldest independent veterinary school in the UK. With a vision to provide leadership in veterinary science and education through innovative scholarship and pioneering clinical activity, the College has a proud heritage of innovation in veterinary science, clinical practice and education. RVC provides support for the veterinary profession through its referral hospitals, diagnostic services and continuing professional development courses. TCSVM: Cummings School of Veterinary Medicine, Tufts University, North Grafton Massachusetts, USA played a central role in the development of participatory epidemiology in the 1990s. Tufts hosts signature programs in International Veterinary Medicine, Conservation Medicine and Global Health. The academic curriculum includes participatory in core course content. Tufts hosts the PENAPH secretariat and provides the current coordinator as an in-kind contribution to the network. VSF-Belgium: Vétérinaires Sans Frontières (Belgium) aims to improve the living conditions of vulnerable people in developing countries who depend directly or indirectly on livestock by improving animal health and production through training, technology and know-how about animal production, animal health and using livestock for sustainable development. The participatory approach is central to VSF’s work with structural solutions implemented in close cooperation with local communities. VWB/VSF- Canada: Veterinarians without Borders/Vétérinaires sans Frontiéres (VWB/VSF) is a Canadian charity dedicated to aiding communities in need around the world by fostering the health of animals, people and the environment. Founded by a group of veterinarians in 2005, VWB/VSF has put Canadian expertise and resources to work in more than 25 projects in parts of the world as near as the Canadian Arctic and as far as Indonesia and Malawi. From working with smallholder farmers to control the spread of infectious diseases in Laos, to improving the lives of AIDS-affected families in Uganda through goat rearing, VWB/VSF is committed to engaging people where they live and working with them to develop locally-defined strategies to promote and maintain public and animal health.